Send us your artwork by filling out the form on this page and our art department will create a proof to show what your artwork will look like as a three dimensional clay medallion on our handmade stoneware mugs. 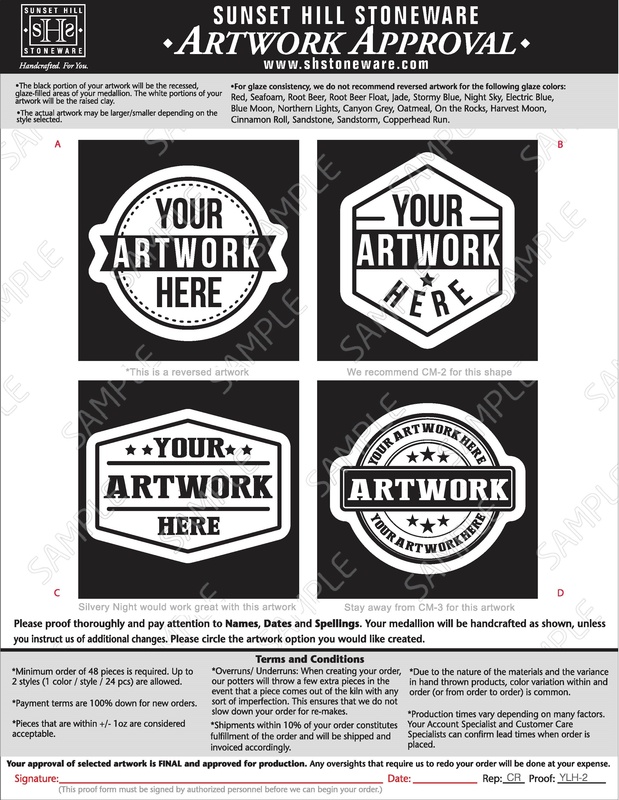 Artwork is preferred in vector format. If you do not have a vector image, send us a high resolution image of your artwork or logo and our team of skilled designers will convert your image. Don't have artwork? We can create something for you!